Events in Somerset in January, February and March? There is quite a lot to do. The Bath & West Showgrounds have events you can attend, as well as other interesting things in the region. Winter is still with us, but there is promise of Spring. Go for a walk or a bike ride when the weather is fine. Watch for the shy snowdrops as they peep through the snow. Look for the cheerful daffoldils with their golden delight. Those lovely bluebells. The birds will soon be sing their dawn chorus. Grey skies will not last. 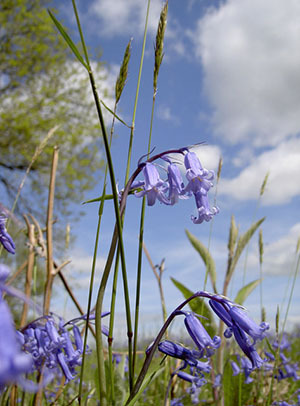 Why not plan a short break in Somerset in Spring. The countryside is lovely as the leaves burst into forty shades of green. Valleys in the Mendips look wonderful from the tops of the hills! Vintage Tractor Show 26th January to 27th January 2019. Royal Bath & West Showgrounds. Special feature - International tractors. Toy Fair Collectables. One of the biggest events of its type in the UK. 27th January 2019. Bath & West Showground, Shepton Mallet. Snowdrop Celebration. 23rd and 24th February 2019. Bishop's Palace, Wells. Antique & Collector's Fair at the Bath & West Showgrounds on Friday 29th to Sunday 31st March 2019. Bishops Palace and Gardens, Wells. Rare Plant Fair 17th March 2019. West Country Game Fair will be held on Saturday 16th and Sunday 17th March 2019. The venue is the Royal Bath & West Showground at Shepton Mallet. Bath & West Showground is not as one might expect in Bath but 20 miles south of that beautiful city, close to the nearby town of Shepton Mallet. The Showground is venue to many events during the year. Norton Fitzwarren is a little village north of Taunton that goes way back to the Neolithic times. Population these days in the 3000 mark. It is an attractive parish set in the delightful Somerset countryside. Weston Super Mare is a seaside town on the Bristol Channel. It is famous for its tide which goes a very long way out. Lovely sandy beach but the mudflats are dangerous. The Pier was rebuilt recently after a fire. Wells Bishop Palace and Gardens is a lovely place to be. Beautiful in all seasons. 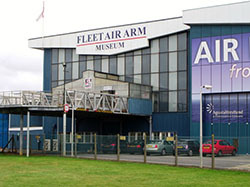 Fleet Air Arm Museum has a magnificent collection set up in halls. They say they have Europe's Largest Naval Aviation Collection and there is no dispute about this!! Well worth a visit. 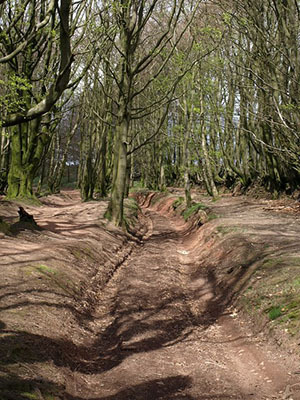 Over Stowey is in the Somerset Levels and set in the foothills of the Quantocks. It is part of the Sedgemoor district. It is only a small place, but includes some hamlets, Plainsfield, Aley, Adsconbe Frian. and Bibscombe. North Curry is another small village near to Taunton. It has a large church that is rather well nicknamed 'The Cathedral of the Moors". Or you may wish to browse through the many pages on this site about our attractive region of Wessex. Click the navigation buttons above on the left.